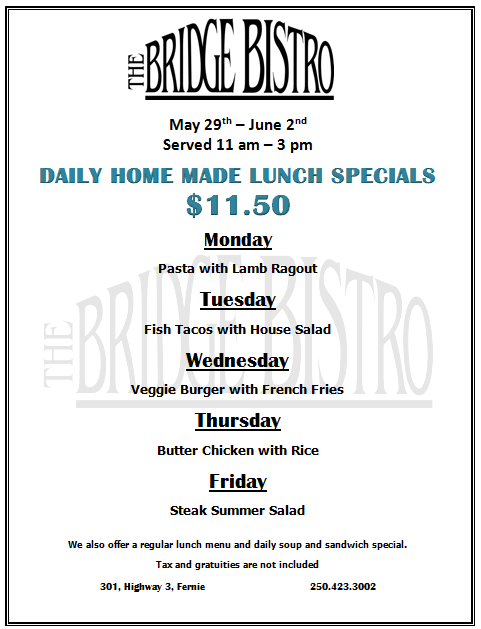 $11.50 Lunch Specials for the week of May 29 – June 2. 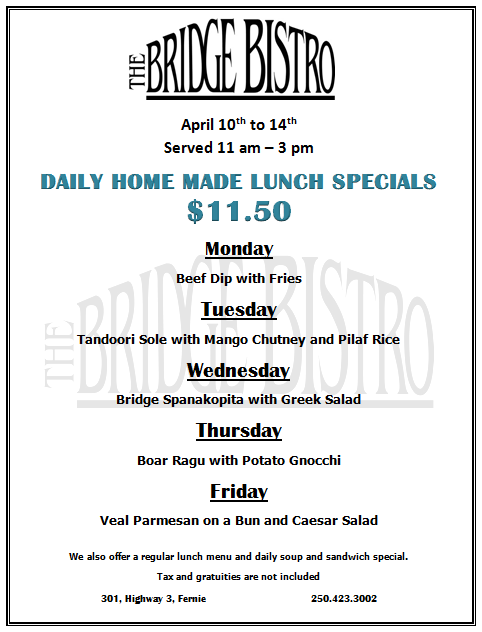 Bike to Work Challenge this week and The Bridge Bistro Brats and Balls are on the roll. 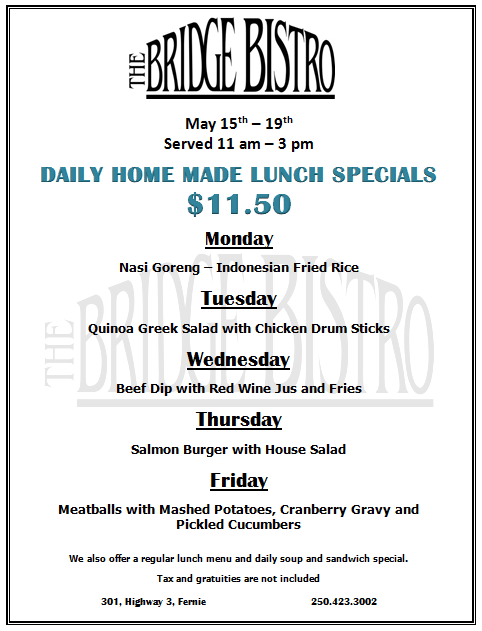 $11.50 Lunch Specials for the week of May 8 – 12, 2017. Patio Season is here. Well, maybe not today, but forecast for this week looks good. 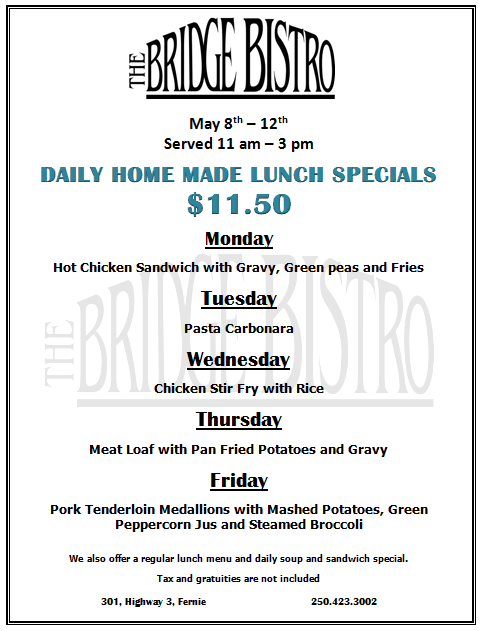 Lunch Specials first week of May. Bring on the Sun. 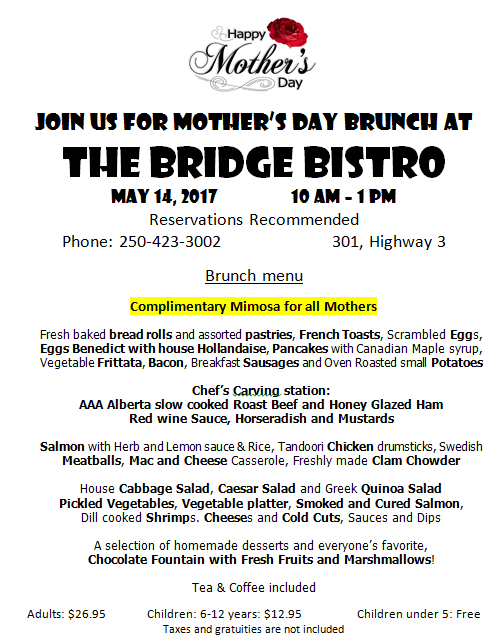 These are our lunch specials for the first week of May 2017. Patio is open! 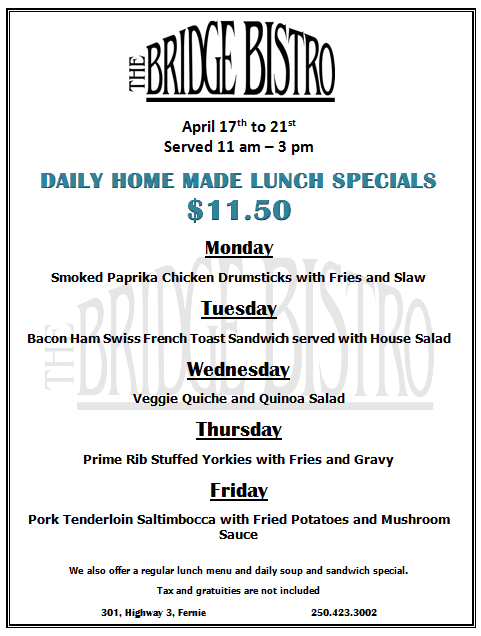 $11.50 Lunch Specials April 24th to 28th. 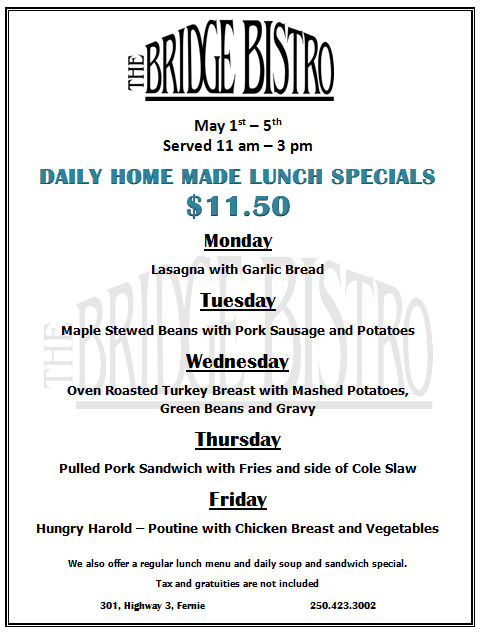 Daily $11.50 Lunch Specials for April 17 – 21, and changed opening hours. 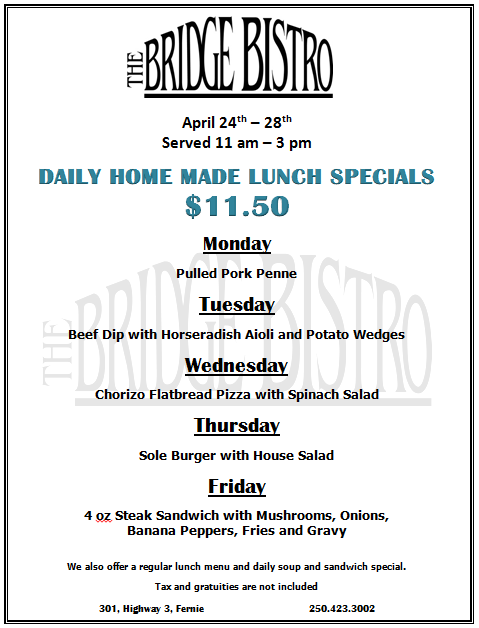 Come and Join us for lunch this week. If weather permits, patio will be open! 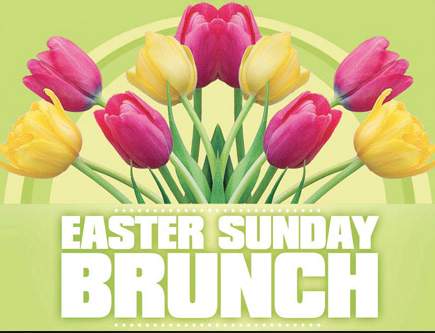 Do not forget to reserve your spot for Easter Brunch on Sunday April 16th.